‘BID’ stands for ‘Business Improvement District’; it is a defined geographical area where new funding can be raised through a ‘levy’ on all businesses within that area, to provide services over and above what the council provides (defined by baseline agreements with the local authority and other service providers which guarantee the level of service provision in the area). 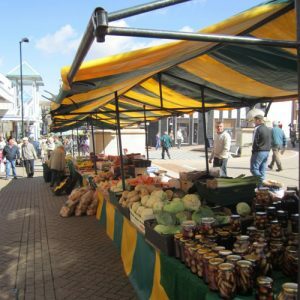 The additional funding is used to invest in initiatives to improve the local environment for traders, visitors, students, those living in the area. 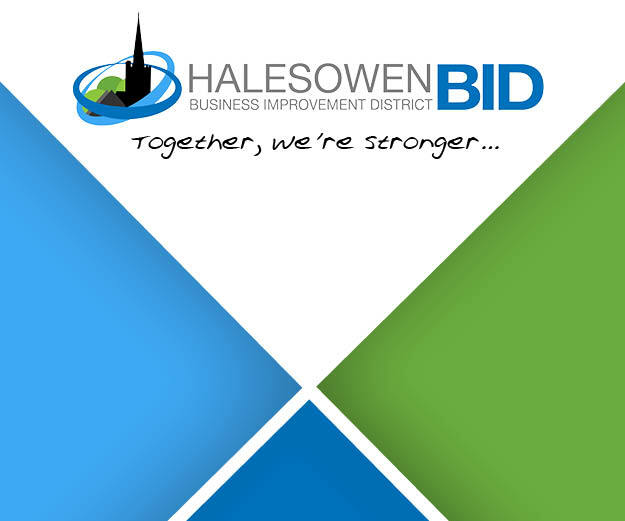 How can Halesowen become a BID? Halesowen can become a BID only following a ballot with a successful ‘YES’ vote. Businesses vote on a BID Proposal or business plan for the area. For a BID to go ahead the ballot must be won on two counts: straight majority and majority of rateable value, to ensure that both larger and small businesses are protected. Is this just another initiative by Dudley Council? Not at all. The BID is controlled and managed by local businesses that are paying the levy. The BID Company will be responsible for delivery of all BID projects and will be managed by a Board comprising local businessmen and women. The Board is entirely independent of the Council. Will this levy be on top of my business rates? Yes. Your business rates are collected by Dudley Metropolitan Borough Council and redistributed at a national level. Yourselves, as businesses, have very little say on how your business rates are spent. The levy money will be controlled and managed by you, and can only be spent on projects and initiatives detailed in the Business Plan, as voted for by you. The BID levy does not pay for anything covered by your business rates. DMBC continues to provide services as usual. Is the BID’s success measurable? Each year the BID will produce an annual performance report to show what the BID is delivering and the Return on Investment for levy payers. Are BIDs just a way for Council’s to save money? BID money can only be used to carry out services and projects that are additional to those the Council is legally obliged to provide. Prior to the BID business plan being produced, the current services being delivered by all the public agencies, including the local authority, police and the Fire and Emergency Service, are baselined and benchmarked and that level of service has to be maintained throughout the life of the BID. Can I be certain that the BID Company will deliver the projects and services set out in this Business Plan? The BID Company is focused on delivery of the services and projects contained within this Business Plan. The plan provides for regular reporting to members of the progress it is making on the various projects and services promised in the plan and these can be found elsewhere in this Business Plan document. Once approved, the Business Plan is binding upon the BID Company. Isn’t this a bad time to be asking businesses for more money? With the continuing pressure of competition from many sources, there really is no better time to be taking this initiative. For a fairly modest contribution, businesses can participate in the advantages £150,000 per annum can bring to the Halesowen Town Centre business environment. Do BIDs work as claimed? There are almost 200 BIDs around the United Kingdom and most are proving very successful in promoting new business opportunities to the extent that many are in their second or even third terms – a few are in their fourth terms. Voting YES to a Halesowen BID will mean that you can expect a better marketed, better maintained, safer, cleaner and well-managed town, where upwards of £600,000 will be spent to improve your Halesowen over a 5 year time frame. A BID will also increase communication between businesses, and deliver results. YOU will be an integral part of the Halesowen’s success and an important voice in the process. The BID will only go ahead if it receives more YES votes than no votes, by number and Rateable Value. If the BID receives more no votes, nothing will happen to improve Halesowen or support the businesses, events, initiatives or projects within. How many BID areas are there in the UK? There are over 200 BIDS in the UK. The majority of BIDs exist in town centres, however there are increasing numbers in industrial areas, as well as commercial and mixed-use locations. YES! There is overwhelming evidence to show how well BIDs have worked across the country, whether in town centres, cities or industrial areas. BIDs in the UK have received over £300million of funding, and we don’t want Halesowen to miss its chance to be a part of this. 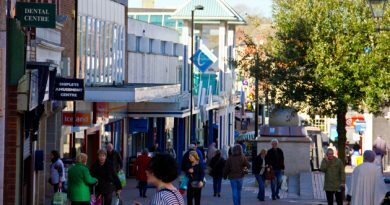 At ground level, BIDs across the country have reported increased footfall, a higher spend, a clean, safe and crime-free environment, with more vibrant, attractive town/city centres. Further proof can be seen by the fact that after the initial five year period, the vast majority of BIDs begin a new five year term following a renewal ballot. This indicates happy, well-supported, successful businesses who clearly endorse the BID scheme. The BID will last for five years. If it is successful, another ballot may be held towards the end of this period to decide whether the BID should continue for another five years. As a small business, will I really benefit as much as the larger chains? The levy is a percentage of RV (rateable value) so generally, you will pay a lot less than the larger chains. However, the benefits will by far outweigh the cost – for example, the overall town marketing, promotion, events, networking and other activities should benefit your business in particular. More than 50% of all levy payers in the Halesowen BID would pay less than £400 per annum (£1.10 per day), many will pay much less, e.g. some 15% will pay less than £150 per annum or just 41p per day. The BID levy will raise approximately £600,000 that will be spent exclusively in the BID area over its 5 year life. The amount of levy that will be required from each business will be calculated as 1.25% of the rateable value (RV). 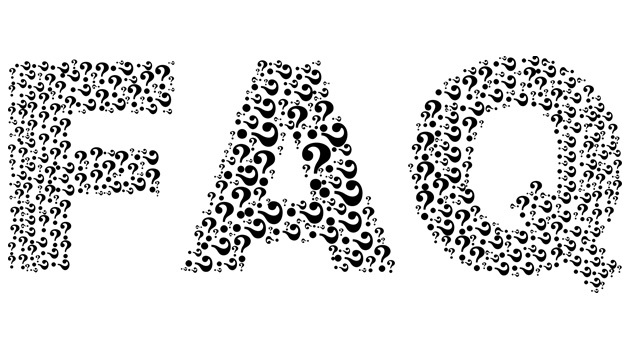 The below table provides an idea of the amount that you will be liable to pay. With the average business paying only 2.40p per week you simply have to ask yourself if your company could achieve everything that is set out in this Business Plan with the same weekly budget. There is no doubt that the answer is no. It is important to understand that DMBC will not be funding these projects, the only way that these positive steps will be taken is if you vote YES. Although there are no firm commitments as yet, several businesses in the area have indicated that they may be willing to contribute, or even fund entirely the cost of some of the projects. It is though too early in the process to take these potential contributions into account. The five-year budget plan shows how far your financial contribution will go in terms of making a significant positive difference, one that is unattainable working in isolation. Voluntary Contributions ? ? ? ? ? ?